Tall Bloke reports that he was raided by UK police and his computers seized. Read his blog post for further details, including actions in the US involving WordPress. Also see Jeff Id here. It is not a coincidence that this story is reported first on these three blogs. In an unrelated story, according to Richard Tol, IPCC has told its WG2 scientists that they are above the law on freedom of information. This entry was written by Stephen McIntyre, posted on Dec 14, 2011 at 7:17 PM, filed under Uncategorized and tagged tallbloke. Bookmark the permalink. Follow any comments here with the RSS feed for this post. Both comments and trackbacks are currently closed. I hope all the speculation as to the identify of the leaker did not lead to this. I personally did not think such speculation was very clever. “Loose lips sink ships.” Some people just have diahrrea of the mouth. Craig, various bloggers are happy to use the e-mails, but not wishing to protect the provider of the emails. I think it was unwise to speculate. I say this even as I suggest what method the police use to track down this hacker. Two years on, it seems odd to think that a hacker would even have the same computers he had in early 2009, which is what the police seem to be assuming. I certainly would not. Judging from Tallbloke’s reaction to all this, I think they’re going to be disappointed. I think the DoJ is on a fishing expedition, and the English police are humoring them. But we’ll see. A lot of people have a knee-jerk-defer-to-authority-confess-all reaction to police. It sounds as if it was all very civil / non-threatening (credit to them for that) but just a hint of flashing blue light can have an effect, so worth a try. More the other way round. The Det Insp told me they requested the assistance of the DOJ in securing the wordpress logs. Ah, I was wondering if someone had somehow determined that the cache had actually come off a US system. England has a functioning police force of its own. The DoJ involvement is just our government doing its best to help the gang across the pond. Couldn’t they have just down loaded what was up loaded on your blog? Ah, I see! It’s about the logs on that upload. they would appear to be searching for any mail headers, addresses, ip addresses or anything else that might give a clue as to where FOIA sent his files and emails from or which might give a clue of any kind. The fact that they are only cloning his disks before returning the systems would seem to show that they are not after Tallbloke. Even if they may be suspicious they certainly are not showing anything. Obvious question: what business is this of the US DoJ? Just copying some of what I put on Anthony Watts site. The US Justice Dept involvement is, I suggest, also just on behalf of the Norfolk/Metropolitan police. As major servers are based in the USA the only way a foreign police force can get access to them and their records is via a US Warrant, undertaken by the DOJ on their behalf. This is a bilateral, country-to-country arrangement, Attorney-General to DOJ request with documentation etc. I originally noted that I thought this was just routine to complete the old and new enquiry, but the DOJ note to wordpress seems to indicate clearly that it is Climategate II emails only. Probably they already have all files from CA and other sites for Climategate I. Very interesting letter at noconsensus (Id). It would appear that the provider disobeyed DoJ’s “request” to hush this up. I see a major internet freedom fight in the making over this. I don’t think DoJ is going to come out very well. The letter references a law which requires court order to execute. Yes, the statute is very clear that a warrant is needed, and the letter doesn’t make any reference to a warrant. I don’t think this is DoJ’s “A” team. There’s a difference between a freeze notice under 1030(f) which doesn’t need a warrant. A warrant is needed if they want to look at the records that have been frozen. I was referring to the part about not notifying the customer. It seem clear that that requires a warrant. I cannot believe this is happening. What legal authority does the U.S. Department of Justice have to act on this? Obviously, they have reason to believe that American law has been violated, and the UK authorities accept the premise. Nothing will come of asking what the reasons are here – how would we know. In time, it will come out. If you are suggesting that the US DOJ could not possibly have any justifiable reason to ask the UK government to act, then there’s nothing we can do for you. Whether they ARE justified is another matter. Unless of course the people are climate scientists whose communications can be seized and searched and distributed far and wide without so much as a by your leave, let alone a warrant. ‘whose communications’….perhaps I’ll add a question mark after the two words. Communications to and from climate scientists or any other persons and funded by public monies are not regarded as belonging to them and are regarded as open to public access under FOI unless otherwise excluded. If the emails are of a personal nature and non work related and not sent or accessed on public paid time that is a different matter, but I doubt that is what your comment referred to. Really? Are you claiming that the 220,000 emails were part of a legitimate FOI-related disclosure? Along with a encrypted sub-set? That corresponds to no known Foi request? Uh-ha…. We don’t know the identities of all persons who filed FOI requests or the nature of any such requests and I don’t doubt any competent lawyer would argue the emails were subject to FOI. Taking the Queen’s shilling, or a greenback, requires accepting certain obligations. No, he meant that they were not personal property, and that the emails released were subject to FOI, not that every email released had been subject to an actual FOIA request. Actually considering the scope and wording of most of the FOIA requests that I’ve read in this matter pretty much every single e-mail to and from a non-personal computer/account for all the key players are subject to a FOIA request by now. I wonder if they have already intimidated or forced the leaker with the password to give up his/her codes yet? I think there is good chance we are going to see some very sophisticated kung fu very soon. If the encrypted lode contains what it probably, sadly does, a *lot* of egg is going to be on a *lot* of believers and their media hacks. People need to note with interest and concern how the AGW miasma is dealing with breaches of their perceived privilege and authority. I agree that the downside potential for the “team” is much greater than the upside potential, with that key floating around. This doesn’t seem very pragmatic; it seem like somebody is on a personal jihad. I won’t mention any names but he has the same initials as Mickey Mouse. As I mentioned previously, the next release will show the links with the IPCC and governments. They are getting nervous and desperate. So is there some sort of English conspiracy law that allows for search and asset seizure of a person not accused of a crime? How quaint. Or are they going to charge Tallbloke’s computer with a crime? They took the router suspecting it of transporting stolen goods. UK “anti-terrorist” legislation is unbelievably draconian. There have been recent public reports of 15-year old being pounced upon by the police for taking snapshots of a military parade and it’s now pretty common for the police to regard anybody taking pictures of them as a “terrorist” under the meaning of the act. Similarly, anybody like TallBloke can be informed that they are a “suspected terrorist” (without any requirement of the police to say why) and be demanded to reveal any of their passwords the police require. It’s a serious criminal offence to refuse. The UK police, in particular the Metropolitan force have sucked up these, and many other, unparalleled powers and abused them in the most egregious fashion. They don’t seem to realise that people “consent” to the police having Stasi-like powers if it’s to protect them from bearded Jihadists. That soon evaporates when an armed plod jumps on them for taking a picture of their girlfriend outside Parliament which, by chance, has a policeman in shot. The detective- insprctor and his colleagues were polite, well mannered and did not over-react when I declined to give them my wordpress password. I politely explained that they had a warrant to search my house, not my head. Excellent. But what about the wording of the warrant. Were you able to make a copy? Did the policemen mention a reason for impounding the computers? I can understand the data requests at WordPress — that would be the logical start of a trail back to “FOIA”. But I can’t imagine that your computer would have any relevant information not logged at WordPress, unless (a)you were in some sort of electronic contact with “FOIA”, or (b)you *are* “FOIA”. Given that you wrote at WUWT that the police told you that you were not a suspect, I don’t understand why they would want your hard drives. Unless, of course, they have no idea how blogs work. Or they lied. Oh, and just as an aside. US readers should know that the Patriot Act wasn’t sufficiently draconian, it seems. When President Obama signs into law the National Defense Authorization Act which the House just passed, your civil rights will finally have completely evaporated. 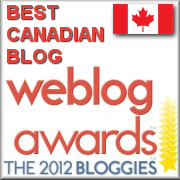 You mentioned three blogs, are you counting CA? Steve, I see it now in the DOJ letter. Sorry for the distraction. Nah. He’s too damn busy covering up the scandal that is Fast & Furious. Interesting that this happened after the failure of Durban … probably no connection. US DOJ Chief Eric Holder said “environmental justice is a civil rights issue,” and “a top priority for the Justice Dept.,” 1/14/11. So if the info was extracted from the UEA in the UK, how is that a matter for the US DOJ to pursue? Blogs hosted by WordPress in the US. But an anonymous source posting on a blog – is publishing, protected by the first amendment here in the US. The Pentagon papers case involved violations of the Espionage Act and classified material, yet SCOTUS ruled 6-3 that the publishing ban be lifted. In this case we have private letters involved in an area of public policy and science – none of which is classified or otherwise sensitive to security. So an unauthorized information release (theft if you will) in the UK doesn’t in it self give the DOJ jurisdiction. I am wary of something untoward going on. Time for FOIA to release the key. CG2 has those emails from the World Bank. Imagine what is in CG3. TPTB must be very nervous at this point. And it is an election year. I am puzzled by this, very puzzled. Probably not covered in Canada, The States and elsewhere. The uk government after the very bad treatment of health professionals for whistle blowing, are proposing to make it easier fir them and also to protect their jobs? I suppose one could be a cynic and maybe the poorly paid police officers need some overtime to help with the Christmas shopping. It will be interesting to see the outrage from The Guardian and Mr Monbiot at this breach of civi liberties. Tall bloke I suggest you pay a visit to Leigh and Co who are experts in this sort of matter. Do a search for “Climategate Police Common Purpose” to find some interesting connections. I must admit that the British Police are doing their best, they obtain a search warrant to enter the home of a UK citizen, confiscate two of his 20+ computers and his ADSL router, confirm that he is not a suspect in any crime and then leave without confiscating his smartphone which he then uses to add a post to his blog, email his co-conspirators, initiate western civilisation meltdown and call his mum. Doesn’t UK have a whistleblower protection law? It is related via what humans call irony. Richard Tol responded to my comment on WUWT in this fashion..
“It appears that the IPCC’s confidentiality guidance document covers itself and cannot be disclosed. The IPCC intends to publish the first- and second-order drafts that are sent for expert and government review, the comments on those drafts, and the responses to those comments. Thank you Richard, and you are quite helpfull. Your comment on what is not on “the list” is very cogent, but the operative word hear is it “appears’, and both you and Richard B have a very difficult time being percise, but apparently there is a percise IPCC “list” which we, the people of the world world who are or may be affected by every policy recommendation this unelected group of Blackbeards make, cannot see what this list consists of !! Now the Irony. Yet some private tallbloke in Britain was certainly not allowed to make a list for the police on what to provide them when they stormed into his private home and took his personal property, despite the fact that he recieves zero Govt funds and makes zero recommendations to change how governments around the world operate. And some posters here think this is fine and a boring matter, nothing to see here, just move along. Their dodge is going to be that UEA profs aren’t government employees. I don’t think this is going to be of much help. The public funding aspect will bring them into the fold. The ICO is slowly advancing FOI coverage and without a court challenge will continue to do so. Search for a link yourself. I don’t want to run afoul of the spam killer bot. Time for FOIA to release another batch of emails . . . maybe some with political folks involved. If they want to play hardball . . . The US DOJ you say. Can there now possibly be anybody left to die defending AGW-is-not-political hill? When the code becomes available for climategate 3, broadcast it far and wide as soon as possible for there will be one almighty fight for survival among the climatologists and the political class. I find these steps by the police somewhat frightening, marginally in contradiction with the presumption of innocence, and, from a rational viewpoint, illogical. If they truly investigated the leaks, they should surely start with a detailed investigation of all employees of the universities in question. I don’t mean just the whistleblower theory. There may also be straight skeptics among the computer admins or whoever. In my opinion, they still deserve a presidential medal for revealing all these pathological things that are going on in the climate “science” but if they violated the law, they should be still held accountable, before they get the medal, of course. Yes Lubos, after all, nobody even knows if a crime was committed. If by ‘raided’ you mean “Did the Mounties descend on Chez McIntyre”? that’d be a question only Steve can answer. We can, however, assume that whatever data the US DOJ got from WordPress regarding Tallbloke and Jeff Id’s sites was also provided regarding Climate Audit. When and to what extent Canadian authorities were involved in the process is unknown. If I were Roger, or Jeff, or Steve, I’d be retaining a lawyer. OK, I admit I’m not always on top of things, but is it possible I totally missed this somehow? The US Environment Protection Agency (EPA) studied every email that had been hacked at the Climate Research Unit, based in Norwich. oh my… has the worm turned… will the criminal(s) finally become known? Talk about dullards – trying to ramp up hackergate2.0 to mess with Durban, kinda backfired – ya think? I find it difficult to see what would hope to be discovered by these actions. The climate-gate II emails were only a subset of what was accessed before, right? And Tallbloke has reported talking to them before. The FOIA seem to know what they are doing, and people much better qualified than me say it is not difficult to distribute things anonymously from, say, servers in Russia. Some public servants (and others) in the UK have, in the past, displayed worryingly low levels of technical competence in secure handling of computers and classified data. Tallbloke might want to double-check his hallway just in case some of the confiscated machines were lost before they reached his front door. Donna LaFramboise has a piece in the Financial Times about this subject today. It’s also linked on the front page of realclearpolitics.com, which means it will get a lot of exposure.